Please check our Theme Store for more details. Step 3 - Click X on the top right hand-side to close the window and save the changes. 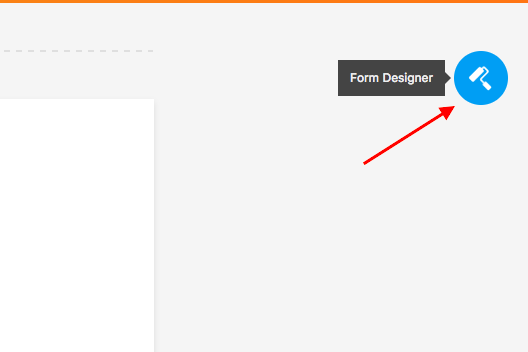 Step 1 - Go back and edit the form in the form builder. 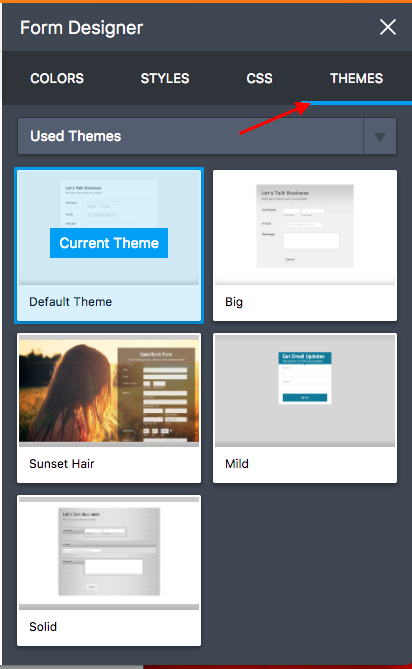 Click the Form Designer and then Themes button. 4. Please don't forget to save the changes by clicking the X in the top right corner. Questions? Please post it in the comment box below or go to our support forum and create a new thread. 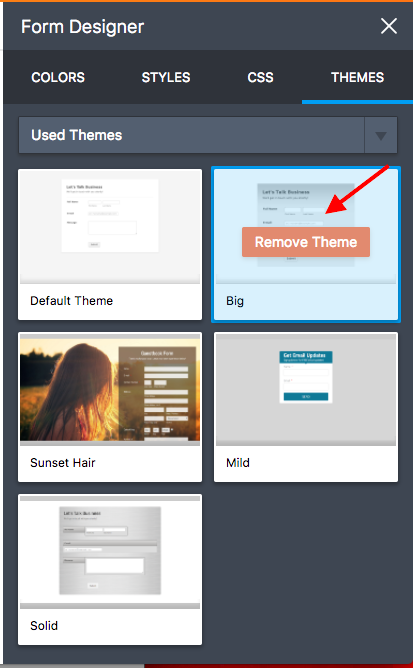 I used theme: Sleek for my form but the Autocompleted address and email verified widgets didn't change - how do I make those 2 widgets look the same as the rest of my form?